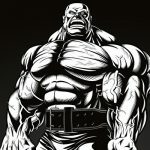 Will this be Dexter's last year of competitive bodybuilding? The “Blade” Dexter Jackson has had one of the most incredible careers in professional bodybuilding. He’s the winningest bodybuilder in IFBB history, with the most notable being his record of five Arnold Classic wins (2005, 2006, 2008, 2013, and 2015) and the 2008 Mr. Olympia title. 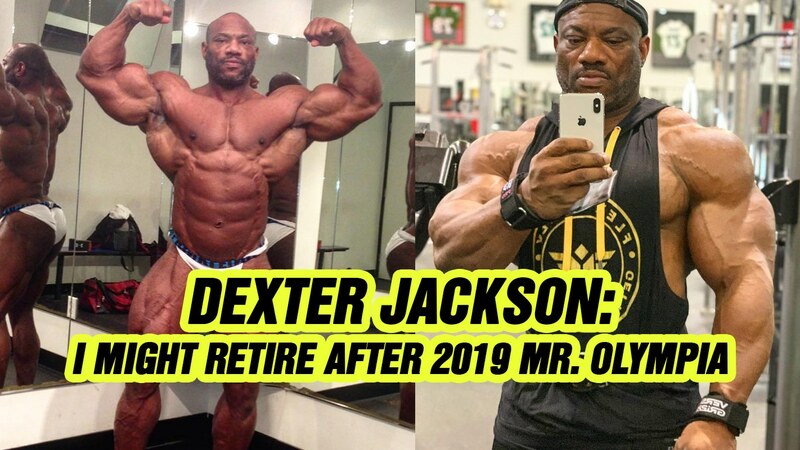 But now, 49 year old Dexter Jackson is considering retiring this year after the 2019 Mr. Olympia competition. He even posted a video where he said he might retire at or after this year’s Olympia. Jackson has achieved so much in his amazing career that he will go down as a true accomplished legend of the sport. Dexter Jackson made his debut in competitive bodybuilding in 1992 where he placed third at the Southern States Championship. He then won the 1995 NPC USA Championships before also winning the 1998 North American Championships to earn his pro card. Then, in 1991 Jackson begun his professional IFBB bodybuilding career where he placed 7th at the Arnold Classic, 3rd at the 1991 Night of Champions competition, and 9th at the Olympia all in the same year. Now, Dexter Jackson defeated Jay Cutler in 2008 to win the Mr. Olympia title, which was the biggest win in his entire career. But he lost the title in the 2009 Olympia to Jay Cutler who was a four-time Mr. Olympia. Regardless, one Olympia title is something only fourteen men in history have been able to accomplish. Jackson didn’t exactly say why he was considering retiring, but maybe his 7th place finish at the 2018 Mr. Olympia has something to do with it because he hasn’t placed lower than sixth since 2001. Or maybe it’s just his age… but either way it doesn’t really matter because Dexter Jackson is one of the greatest of all time and will retire as such. Apparently There's An Arnold Schwarzenegger Clone! Fitness Athletes Are Ordering Breast Milk Online To Make Gains!